Everyone loves a great story. Especially when that story sheds light on who we are. That’s why it’s such a privilege to tell the UMKC story in a brand new way with this issue of Perspectives. of the values this university was founded upon: equality, community and excellence across the board. pages, meet a Japanese-American who crossed half the country on a promise, a young black man who broke boundaries on a national scale and a political exile who found refuge in the American heartland. 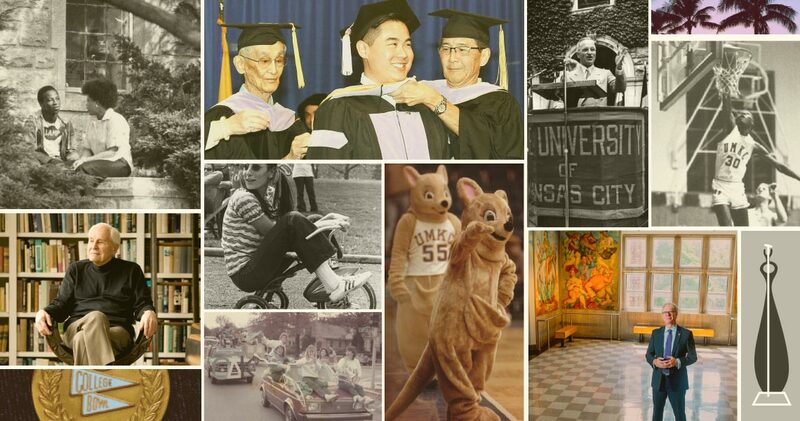 These stories tie directly to the place UMKC has become in the many decades since its founding. yourself in these pages and consider how your own story is woven into the university’s fabric.